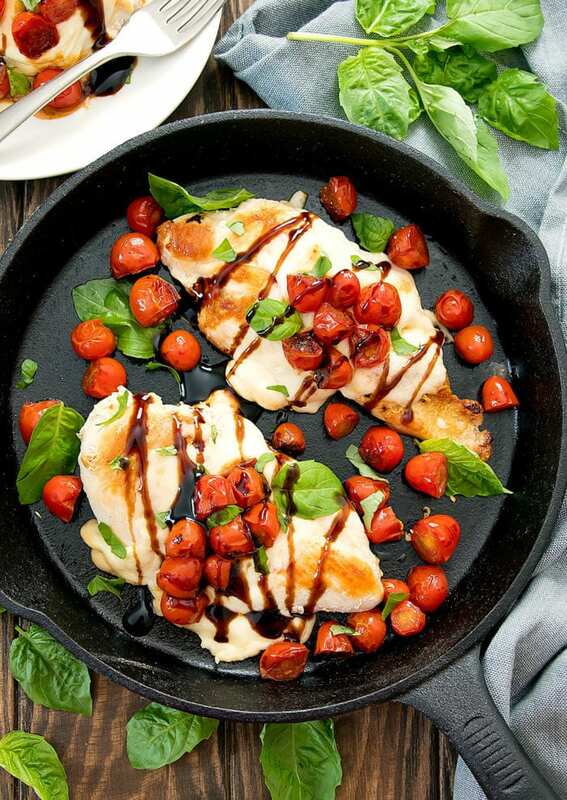 Caprese chicken is an easy, one pan meal ready in less than 30 minutes. It’s a fun and flavorful spin on caprese salad. The end of Labor Day weekend is always a little sad for me because it signifies the end of summer. 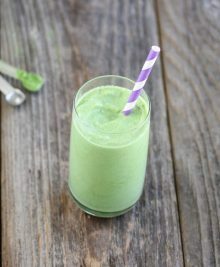 I’m not quite ready to completely forget summer though, so I plan on making these summery dishes as long as I can. 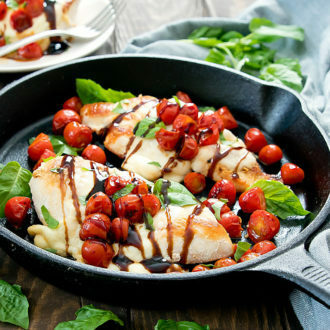 This dish inspired by the classic caprese salad and contains all the ingredients you’ll find in a caprese salad including fresh mozzarella, tomatoes, basil and balsamic vinegar. Chicken is seared until golden brown and then topped with fresh mozzarella. I then let the mozzarella melt over the chicken before topping it with blistered cherry tomatoes. It’s then finished with shredded basil and a balsamic glaze. Instead of using balsamic vinegar, I chose to use balsamic glaze which is balsamic vinegar that has been reduced until thickened. 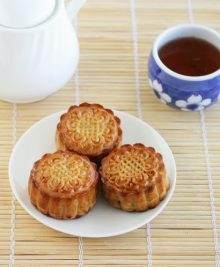 Instead of dribbling off like the vinegar, the glaze is thick enough to hold its form when drizzled over the chicken. You can buy balsamic glaze at the grocery store, online, or you can make your own by reducing balsamic vinegar until thickened. I purchased mine on Amazon. A fun twist on caprese salad. 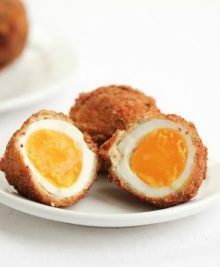 This easy and flavorful dish is ready in less than 30 minutes. 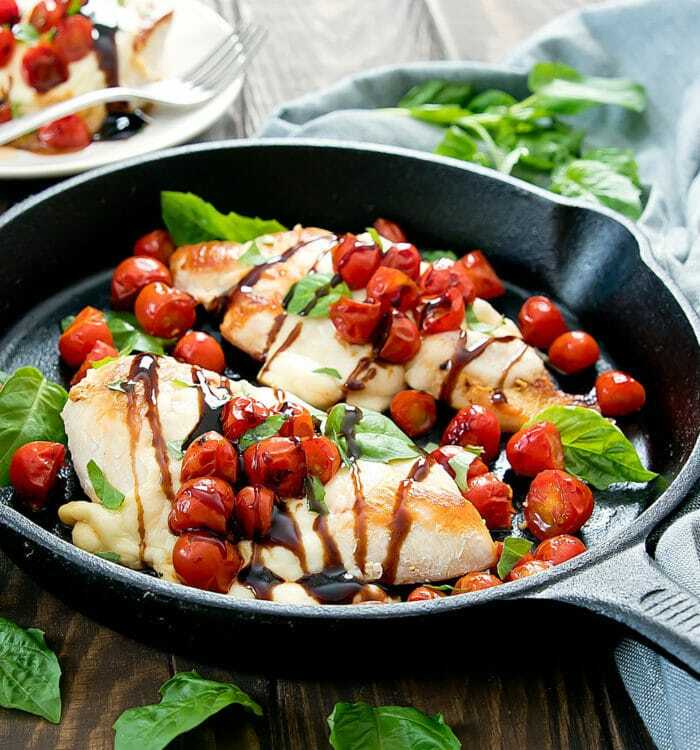 Seared chicken is topped with fresh mozzarella, blistered tomatoes, and finished with basil and balsamic glaze. In a large skillet, add oil and bring to medium high heat. Add in chicken breasts and cook a few minutes on each side until chicken breasts are cooked, with a golden brown sear on both sides. About 2 minutes before chicken is finished, add in tomato halves and cook until tomatoes are heated and skin is lightly blistered. Top chicken breasts with mozzarella slices. Turn off stove and cover skillet with lid to allow cheese to melt over the chicken. Dish out the chicken. Top tomatoes over cheese. Sprinkle chicken with basil. 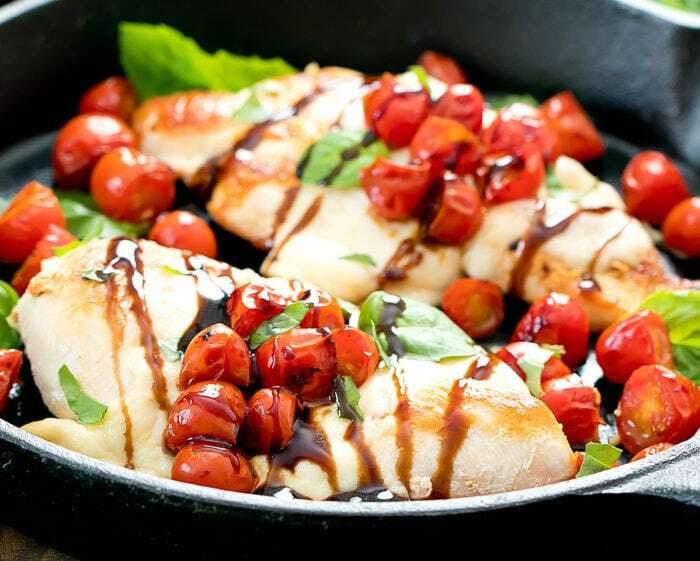 Drizzle with balsamic glaze. Chicken breasts are quite thick, so I sliced them in half lengthwise to reduce the thickness, which makes them easier to cook and serve. I used this baslamic glaze which I purchased on Amazon*.